You know you’re deep in the heart of a console generation when SEGA decides it's time to wheel out another Genesis collection for nostalgic retro gamers to enjoy. 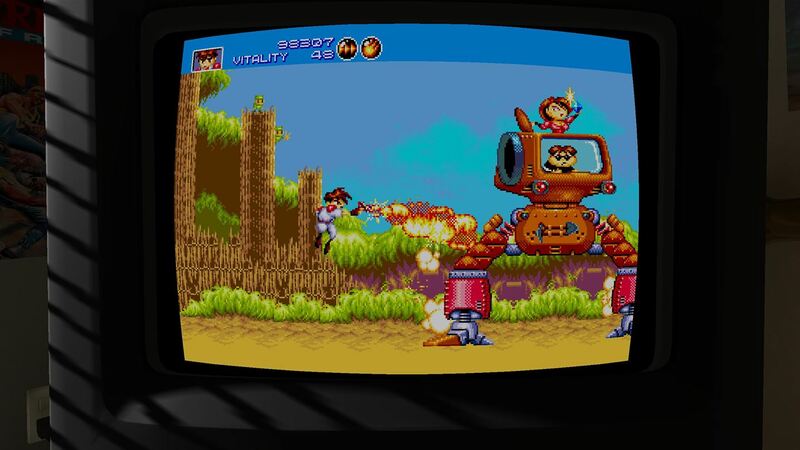 The latest compilation is SEGA Genesis Classics for PS4 and Xbox One, a collection of 50 Genesis games that include most of your old favorites, but also some surprising omissions. I’m honestly okay with the "missing" games, since what is the point of buying these collections over and over if they just have all of the same games every time, but a bigger problem is the overall bare bones nature of the release as there aren't any extras to speak of. These are just the same ol’ games you've played before on a new set of consoles. See our full PS4 review for all of the details. I have to admit that I was firmly in the Nintendo camp during the Great 90's Console Warz, so I always get inexplicably excited whenever a new SEGA Genesis retro collection comes out because they give me an opportunity to play all of the games I missed back in the day. Then I actually play those SEGA games I missed out on and remember why I was a Nintendo fanboy. Like Lewis Black eating candy corn every year, I eagerly fire up Sonic the Hedgehog or Vectorman only to be disappointed time and time again. I just don’t like SEGA’s style that much and am not really into retro gaming these days (from SEGA or Nintendo ...). Ha ha! That’s not what you expected from a retro review like this, was it! I can still look at this collection objectively, though, and it is still somewhat disappointing. The lineup of 50 games includes most of the same games featured in 2009’s Sonic Ultimate Genesis Collection for PS3 and Xbox 360, but there are some key omissions such as Sonic the Hedgehog 3, Sonic & Knuckles, and Ecco the Dolphin. There are some new entries we haven’t seen in these collections before too, of course, and the additions of Gunstar Heroes and the Genesis version of Virtua Fighter 2 (surprisingly better than you’d expect), plus others, mostly make up for it. Like I said above, I don’t mind that the collection is missing a few key titles because there’s no point in releasing new collections if they’re just the same games all the time. I have to give SEGA credit, too, because they release 50 games for $30 rather than making you re-buy them on a Virtual Console or releasing overpriced and hard to find Classic Mini consoles like Nintendo. In terms of sheer bang for your retro gaming buck, you can’t beat the SEGA Genesis Classics release. Not all of the games have aged particularly well – in fact, some of them are downright terrible – but there are some definite winners and genuine classics scattered throughout here that are worth your time. They're also all easier to play than ever thanks to awesome rewind and fast forward options that let you undo stupid mistakes or fast-forward through boring bits. You can also save at any time now, too, which also makes getting through tough sections easier than ever. Unfortunately, as far as extra features go the SEGA Genesis Classics is a bit of a letdown. None of the games have any extras like artwork or history or even box art, which is crazy. Twenty-one of the games do offer online play, but the setup is wonky and playing with randoms online via matchmaking is just asking for headaches. Online performance is iffy at best, too. Local multiplayer works exactly like it should, though. In terms of options, SEGA Genesis Classics does offer the expected set of visual filters that let you do things like boost the resolution to get 4x as many pixels as normal, smooth rough edges, or place different scanlines onscreen if you want. You can also choose to make the game look like it's on a CRT (complete with bulky bezel and rounded corners), play with borders on the side, or blow it up to full screen (still 4:3, though). 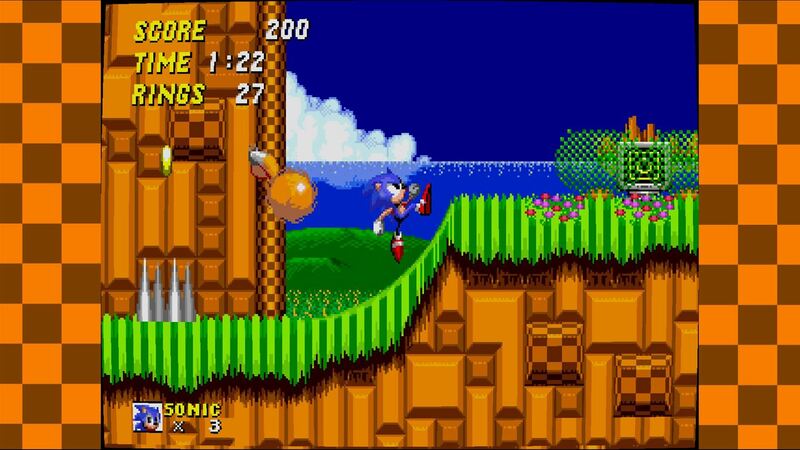 The emulation overall is quite good, but there are some sound issues now and then with some games, so it isn’t perfect. 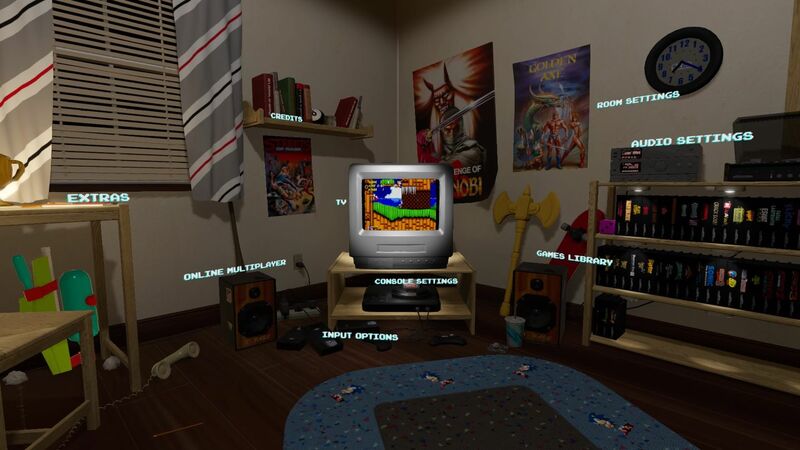 Something I really love here is that the main menu looks like a kid’s bedroom from the 90's complete with CRT TV, Genesis console, shelf full of 50 SEGA games, and SEGA collectibles scattered all over. It looks cool and instantly brings back warm fuzzy memories of playing games in a room surprisingly similar to this (though with Nintendo stuff instead for me). You can even change the time of day so the light coming through the window changes, which is an awesome touch. It can, admittedly, be a little clunky to actually navigate this menu since you have to scroll around the room to do stuff, but I love it as a cool feature in a compilation that is pretty vanilla in every other way. All in all, SEGA Genesis Classics is only an OK retro compilation at the end of the day. Getting 50 games for $30 is certainly appealing, and there are some neat features like the cool menu and ability to rewind and fast-forward in games, but it is packing decidedly less extras than previous Genesis collections. If you don’t already own a previous collection, or you just want something on current-gen, SEGA Genesis Classics may still be worth a look, though, even if it isn’t perfect.